Congratulations – You’ve found the exercise-reports.com weblog! Logins are available for current clients. Notice: Exercise-Reports.com is in beta at this time. With a paid subscripton you will be able to access your exercise records anywhere in the world that you have Internet access. There are numerous free and subscription features of Exercise-Reports.com that you can use to enhance your human performance training. Access to many articles. Information on physiology, nutrition, training techniques, muscle mechanics, and much more. If you setup a reader account, you can be notified when a new article is posted from any specific category of Exercise-Reports.com. When you are logged in every page of the Exercise-Reports.com blog has a NOTIFY link in the upper right-hand corner. This link takes you to a menu which allows you to select the categories that you would choose to have an e-mail notification when a new article is posted. The most valuable part of Exercise-Reports.com is the online exercise journal with your own personalized records for training, practice and competition. Different plans (see PLANS) are available where you can publish your exercise information to your own private account. You can also e-mail your training session information to have it post to a web page, which you can review at any time. You can attach workout files or make notes of your own training sessions. You can post your goals and affirmations or keep records of injuries or other obstacles. The information is private, so only you, or you and your coach and trainer can access the information. If you would like to setup an account to enjoy more features from Exercise-Reports.com, check our support section. These are your physical resources. This is life. Strengthen your stance and expect the best. Exercise-Reports.com helps you manage your physical resources. Exercise-Reports.com is an Internet exercise journal for individuals, teams and groups. Exercise-Reports.com uses weblog technology to help individuals, coaches and trainers report, track and review exercise information in a multi-category blog format. A paid subscription provides access to private reports sections and gives individuals, coaches and trainers the ability to post workout records, contest records, personal best performance records, or sports injury and rehabilitation notes. The private sections can also function as a sports diary to help understand goals, objectives, strengths, weaknesses, threats, strategies. Exercise-Reports.com includes free and private articles with resources and links to published scientific research, associations. Important milestones can be noted and reviewed for encouragement and old mistakes can be reviewed to avoid a repeat of human performance errors. Exercise-Reports.com is the web address for the introductory pages — serving as an online brochure. 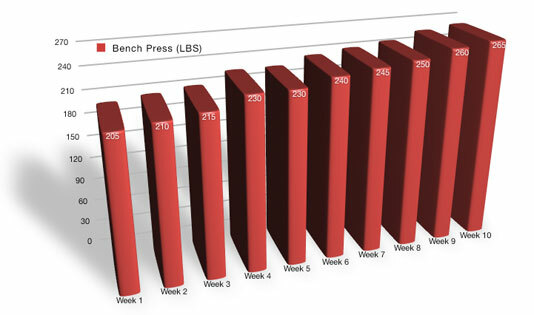 Exercisereports.com takes users directly to the reports log-in area for subscribers and the free article areas. Features for private user access include journals, goals, vision statements, error correction statements, action plans, exercise tips, exercise physiology information, sports injury information, wellness information, venue information for stadiums and playing fields, risk reduction plans, weather, and route information for biking and running, etc. Journal entries can be made from the web or from a mobile device that has e-mail capability. SMS text entries can be made via Twitter and an RSS subscription. Google features such as My Maps and Profiles are useful utilities with exercisereports.com. While Apriori, Inc., EXERCISEREPORTS.COM and its designees will protect your personal information, you understand that through your use of the Services of EXERCISEREPORTS.COM you are not necessarily anonymous and the User Content you submit is not private. The EXERCISEREPORTS.COM reserves the right to share information with law enforcement agencies and officials or third parties in limited circumstances, including, but not limited to, situations that involve complying with police interviews, court orders, legal action, and situations that involve preventing fraud or imminent harm to a person or property.